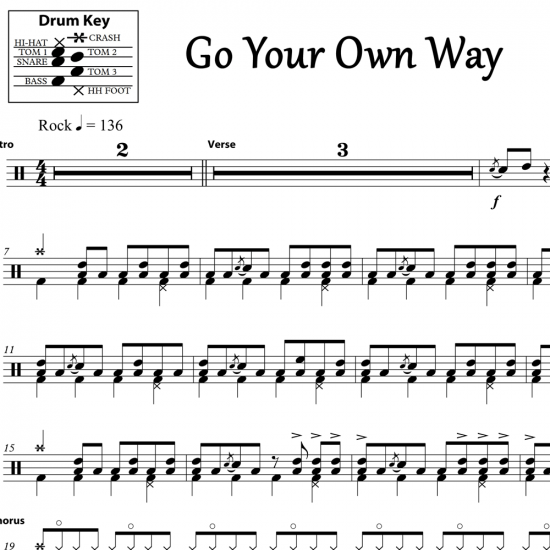 The full drum sheet music for “Go Your Own Way” by Fleetwood Mac from the album Rumours (1976). 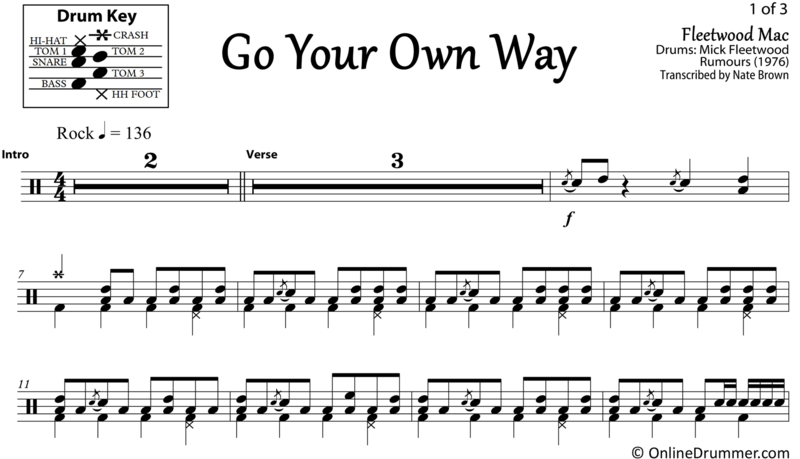 Mick Fleetwood laid down an amazing drum track on “Go Your Own Way.” Unfortunately, a lot of the subtle nuances got washed out of the final mix. 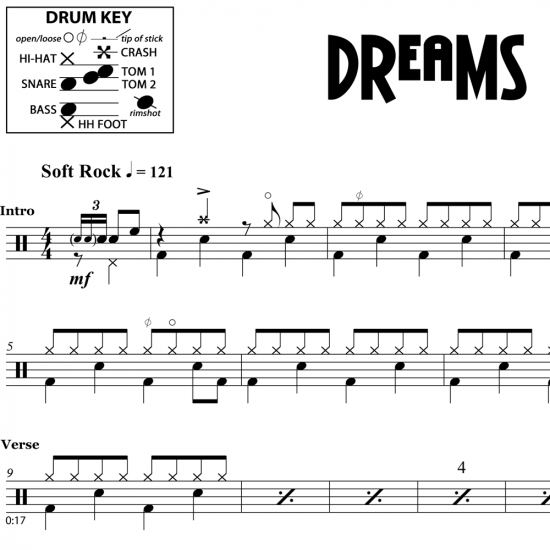 We had the honor of studying the drums-only mix of Mick’s recording session for this song so we could notate it exactly as he played it. Mick uses a reverse rack tom setup. 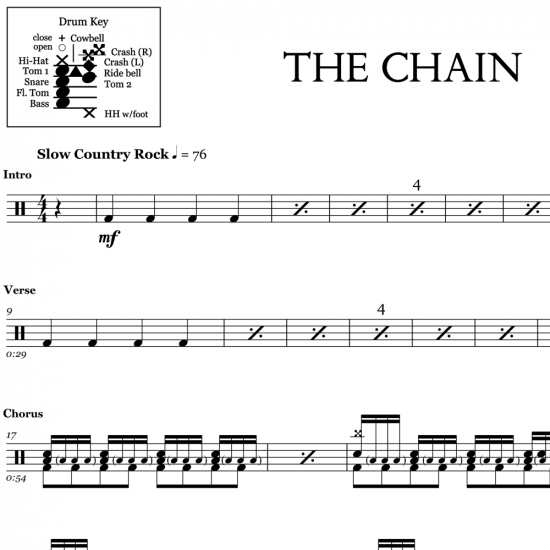 In other words, his middle tom is first, and his high tom is second. If you’re a die-hard and want to keep it exactly as Mick, feel free to reverse your rack toms. It’s not necessary, however. 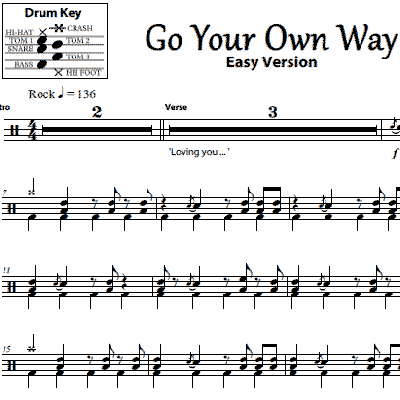 This drum sheet music for "Go Your Own Way" is a simplified version of the song, containing only the essential elements necessary to make the drum part sound like it's supposed to. 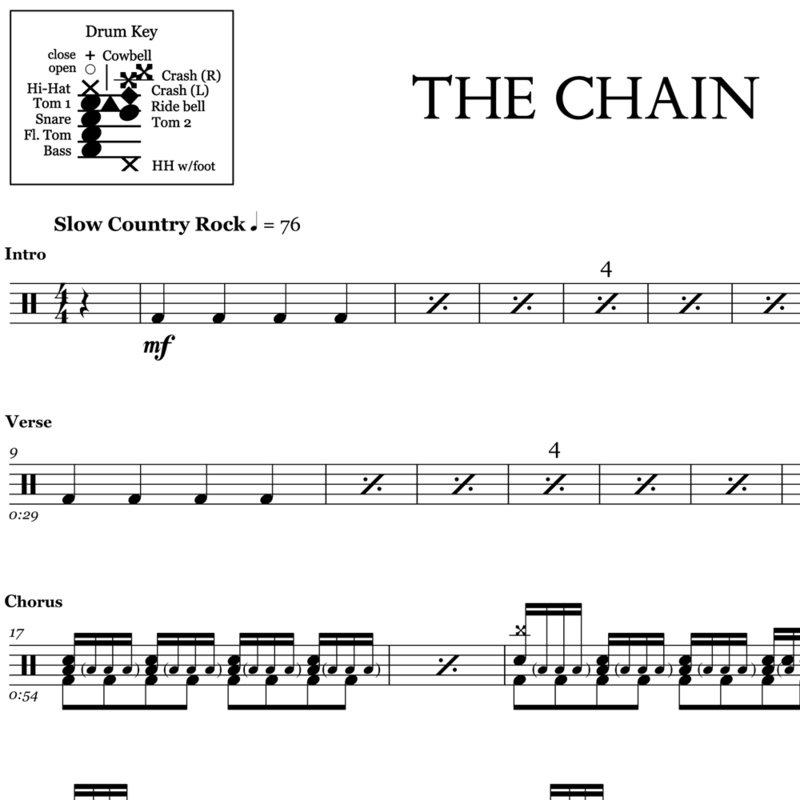 The full drum sheet music for "The Chain" by Fleetwood Mac from the album Rumours (1977). 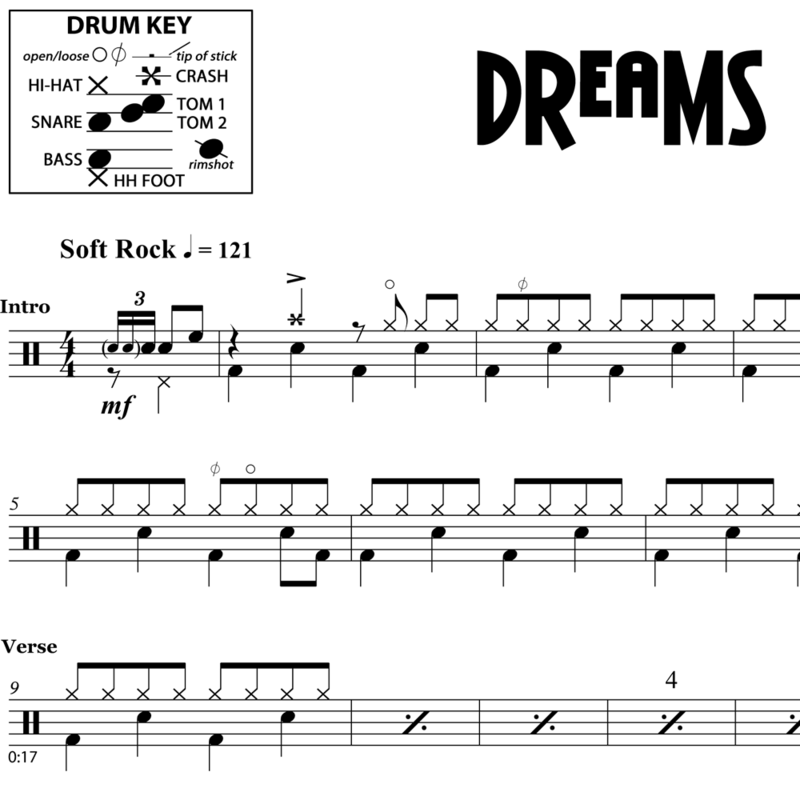 The full drum sheet music for "Dreams" by Fleetwood Mac from the album Rumours (1977).